Offshore interest in Sydney's boutique office buildings continues to surge, with three buildings in the CBD's western corridor selling, each with a $10 million plus price tag. The significant investment in the future of Sydney via the development of Barangaroo, Darling Habor Live and the George Street Light Rail, is focusing investor interest on the Western Corridor of the Sydney CBD. 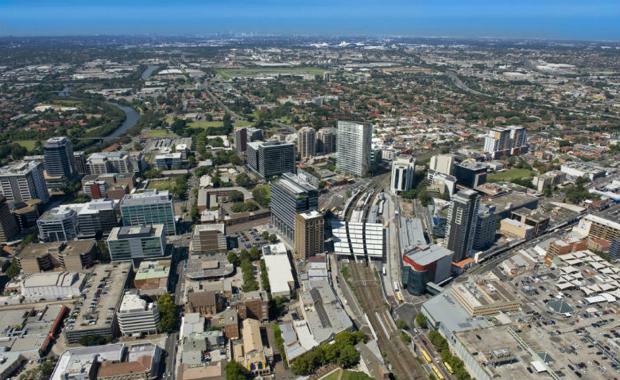 According to Knight Frank's John Bowie Wilson, "These are three game changing projects for Sydney and they each adjoin the western corridor. It is unprecedented for Sydney to have this much money committed in capital upgrades and the Western Corridor will be the first to benefit. "Occupier trends and workplace demographic shifts are also moving in a favourable direction for owners of character buildings in the Western Corridor. According to Knight Frank's Jonathan Vaughan, "There is an ongoing trend for occupiers seeking to differentiate from their competitors, identifying character buildings as the ideal foundation for their brands. Buildings with period features provide a real point of difference, and the scarce nature of this style of property means quality stock is tight. Mr Vaughan went on to say, "Owners of these assets are therefore typically experiencing stronger effective rental growth and higher probability of renewal on lease expiry which will underpin capital values going forward. "204 Clarence Street is a heritage listed, turn of the century building which sold off market for $15.5m. Jonathan Vaughan and John Bowie Wilson from Knight Frank brokered the deal on behalf of Greenpath Pty Ltd.
204 Clarence Street, Sydney[/caption]The asset is a well presented boutique office building, located just south of Market Street within the Western Corridor of the CBD. The building was constructed in 1908 and extensively refurbished in 1999 with a net lettable area of 2,242sqm. According to Mr Vaughan, "The purchaser appreciated the quality of the accommodation and was attracted to the location's excellent growth prospects. "Further highlighting the interest in Western Corridor boutique buildings, an education provider from Singapore has secured, by way of call option agreements, the right to acquire 100 per cent of the strata suites in 432 Kent Street, Sydney, for a total cost of $13.8m. Jonathan Vaughan, John Bowie Wilson and Andy Hu of Knight Frank sold the option agreements after a highly competitive Expressions of Interest process on behalf of KSO Pty Ltd. These two recent sales follow hot on the heels of the sale of 143 York Street, Sydney, which a local private investor sold for $21.25m in May 2015 to a local Chinese hotel developer. The boutique heritage listed office building is situated on a prominent site of approx. 468sqm, the building comprises seven office levels above ground and lower level ground retail tenancies with a total net lettable area of approx. 2,650sqm. Constructed in 1922 the building was substantially refurbished in 1986 when the upper two floors were added with further refurbishments in 1991-1992 and again in 2003-2004.